Every time the marketing industry stabilizes a new gold standard for SEO optimization, Google releases new updates and initiatives that tell us that we’re wrong about our findings. But don’t worry, we’re here to help you get the most out of your internal linking without getting dinged by Google. 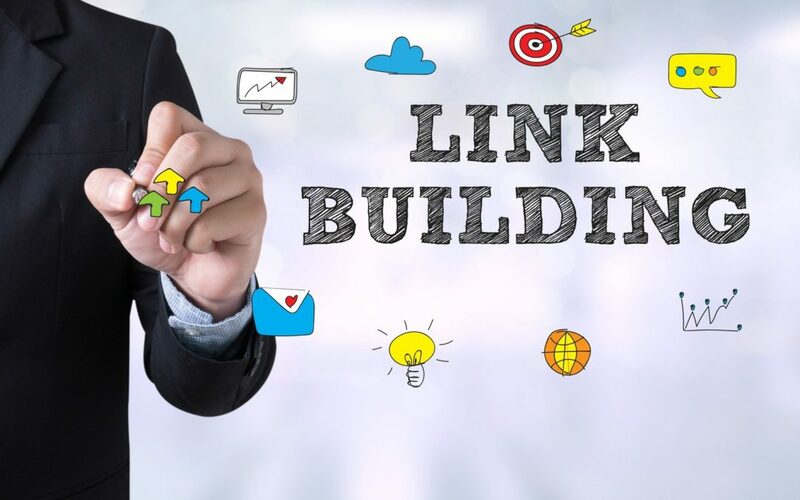 Below, we’ve curated some of the top tips to implement and pitfalls to look out for during your SEO internal linking efforts. Instead of linking to your “contact us” page or “home page,” link to rich content within your site instead. Do you have a blog on your website? Great. Use the content in this section to link to in your current posts. This will help visitors learn more about your offered products and services, as well as get them to navigate through your site naturally. No need to link to header titles that are easily accessible on the homepage, link to content deeper within your site – content that a passersby visitor may not be introduced to on the first click. This will not only help your visitors have a better online experience, but it will also create more link impressions and improve ranking for your website within the elusive Google SEO algorithm. Anchor text refers to the highlighted words in a hyperlink. It may not seem like the words turned into links are that important but, in reality, they are very important for SEO. Google actually uses this descriptive text to determine relevancy and to understand the context of the target page. This is a good thing since it will improve the ranking of all hyperlinks involved. It’s also a way for Google to police best practices. For instance, if you are a florist and your website is linking to popular articles about airplanes and automobiles, Google will flag you and drop your website ranking. Another thing to note is that if a certain web page is linked to various times within one post, Google will only account for the anchor in the first link when determining relevancy. So, in other words, if you try to stuff hyperlinks throughout a post that leads to your product page, this will not boost your SEO ranking. Only the first link will be counted in the tally. This one may seem obvious, but many businesses (especially ones that have multiple services and products available) are guilty of internally linking to irrelevant content. Just because you use one relevant word in your new post doesn’t mean that you should link to another article that goes off on a wild tangent. For instance, if you are creating a product post about natural bee-related products and you mention in your article that honey is great with jam. Don’t create a jam hyperlink that discusses how jam is made. This is not only considered unnatural, but it could also be flagged by Google as an SEO malpractice. It’s much better to stick with the bee product related internal and external linking content. Not only will your readers thank you, but you will also increase your chances of moving up in rank as you have a specialized (and hopefully unique) post. Footer links come in all sorts, but they are always spammy. Whether these are whited-out ghost links that are not readily visible until someone clicks in the white space or whether they are fully bolded and present, they always mean bad news when it comes to Google rankings. Through various updates, Google is finding these sites and penalizing their rankings for this malpractice, so it’s best to stay away and not be put on the offender watch list. Imagine, if you put 50 footer links on each story you have on your website and you have over 10 articles, that’s already 500 spammy links! Stay away from the temptation and play the SEO game fairly. Remember the fable about the tortoise and the hare. Considering that a big chunk of your audience will be viewing your content and website on their mobile devices, a great way to enhance your link juice is to optimize your content and links for mobile. For instance, if a person has to zoom in on their phone in order to click on one of your follow links, it’s an extra step that he or she will have to take in order to learn more information. However, if you make these links bigger and easier to tap with a thumb while on a phone, this will not only increase the likelihood of getting additional clicks to the links within your story, but your audience will also be more likely to stay and read the additional content provided in the hyperlinks. Optimizing your website is not only good for internal link building, but it is also a necessity in the current marketplace. If your website is not mobile-friendly, odds are one of your competitor’s sites are and, even if you get the first click, if your site is difficult to navigate on a mobile phone, your potential customer will close the site and search for another. If you need help optimizing your website for mobile, we’re here to help. In addition to optimizing your website for mobile, editing the amount of links you use will also improve your SEO. This is where the old saying of “quality over quantity” is highlighted. For instance, if you stuff your website with too many internal and external links, your page speed will slow down and create a lag on the user’s end. And this page loading time will be even worse if the individual is using his or her mobile device to access your website. Plus, if you’re not yet convinced, page speed is also used by Google to determine SEO rankings. This is an even greater incentive to edit the amount of links you use in your content. And, strangely enough, if you edit the number of hyperlinks in your story, the ones that are embedded will have a higher chance of getting clicked on since they won’t have as many competing links vying for attention. Google is always finding new ways to keep marketers and webmasters honest through their SEO-boosting practices. And the only way to stay ahead of the game is to have a strong marketing partner by your side. Here at Full Scale SEO, we do the hard work for you and allow you to reap the benefits. Contact us today and we’ll help you formulate your successful SEO plan.